The Church of the Advent was born in 1844 from the inspiration of a group of Bostonians who desired to establish a new parish that would put into practice the ideals of the then-11-year-old Oxford Movement, which was attracting attention, converts, and controversy in England. The Oxford Movement called upon the Church of England to return to its historic roots in the undivided Catholic Church, including a restoration of liturgical practices which had fallen so far out of use that Anglican worship at the time looked little different from that of a Congregationalist church. 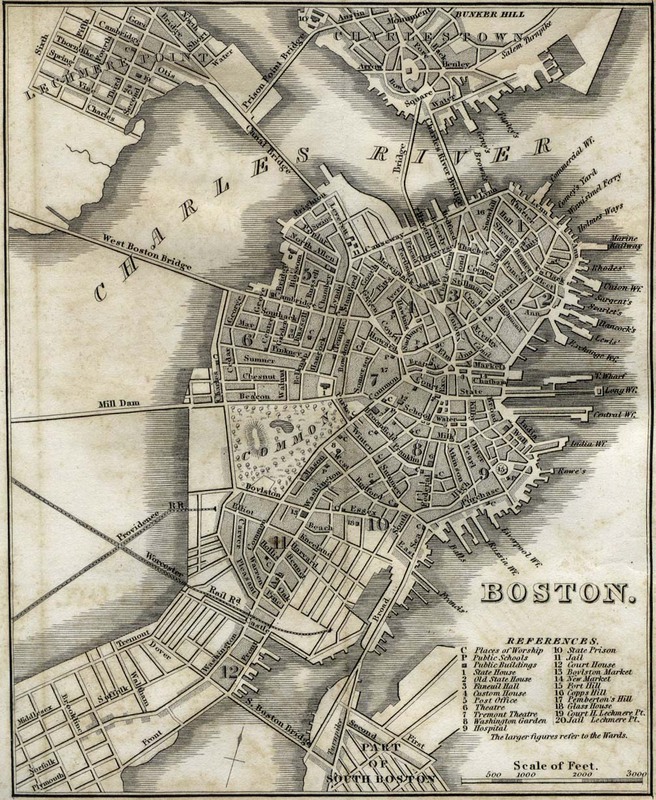 The Movement’s ideas quickly spread to America, where these Boston gentry resolved to found a church that would espouse and preach them. The parish solved the immediate problem of pastoral deprivation by calling a former missionary bishop, Horatio Southgate, to succeed Dr. Croswell after his death in 1851. Bishop Southgate used his considerable influence in the House of Bishops to secure a provision in the Canon Law of the Episcopal Church requiring diocesan bishops to visit every parish in their jurisdiction at least once every three years (whether they wanted to or not). Thus chastised, Bishop Eastburn meekly returned to the Advent after an eight-year absence and there were no more rude remarks about altar ornaments. Meanwhile, the tenets of the Oxford Movement were gathering interest and support both at home in England and in the growing United States. A young Advent parishioner, Charles Chapman Grafton, traveled to England to meet one of the Movement’s heroes, Richard M. Benson, and helped him establish the Society of St. John the Evangelist, the first monastic order for men in England since the Reformation, now popularly known as the Cowley Fathers (from the location of their first house in Cowley, near Oxford, England). After returning to Boston with other members of the order, in 1872 Father Grafton became the Advent’s fourth rector. It was during his tenure that construction began on the parish’s permanent home, the majestic Gothic Revival structure on Brimmer Street on the “flat” of Beacon Hill. Previously the congregation had moved from its first meeting space, an “upper room” in a building on Merrimack Street, to rented space in a building near Causeway Street, then to a church on Green Street in Boston’s since-demolished West End (see this 1842 map), thence to a disused Congregational church on Bowdoin Street on the other side of the Hill. Father Grafton was elected Bishop of the Diocese of Fond du Lac, Wisconsin, in 1888 but returned in 1894 to preach and consecrate the completed Brimmer Street church on Advent Sunday, December 1 – fifty years to the day after the first services in the North End loft. The Advent has always striven to witness to “the beauty of holiness and the holiness of beauty,” acquiring a worldwide reputation as a ‘shrine church’ of Anglo-Catholicism in the United States. In 1936 a parishioner, master organ-builder G. Donald Harrison of the Aeolian-Skinner Company, designed and installed a pipe organ which remains a world-renowned masterpiece of the art. Its reputation was such that no less a personage than Albert Schweitzer, on his tour of the United States in 1948-49, made playing it a highlight of his Boston visit. To this day the Church of the Advent continues to contribute to the life of the wider Church. Two other rectors went on to become bishops. Innumerable clergy who served as curates over the years have carried the Advent’s teaching and liturgical style with them to other parishes. Other Anglo-Catholic churches in the United States may have taken the elaboration of ceremonial to an even greater degree, but the Advent remains a parish whose name is recognized throughout the world as an icon of Anglo-Catholicism in America.